21 photos starring 7821 Ditcheat Manor and 61994 The Great Marquess, making almost its first public appearance after overhaul at Crewe. 7821 Ditcheat Manor, Kingsley & Froghall, 14 January 2007 - 0959. 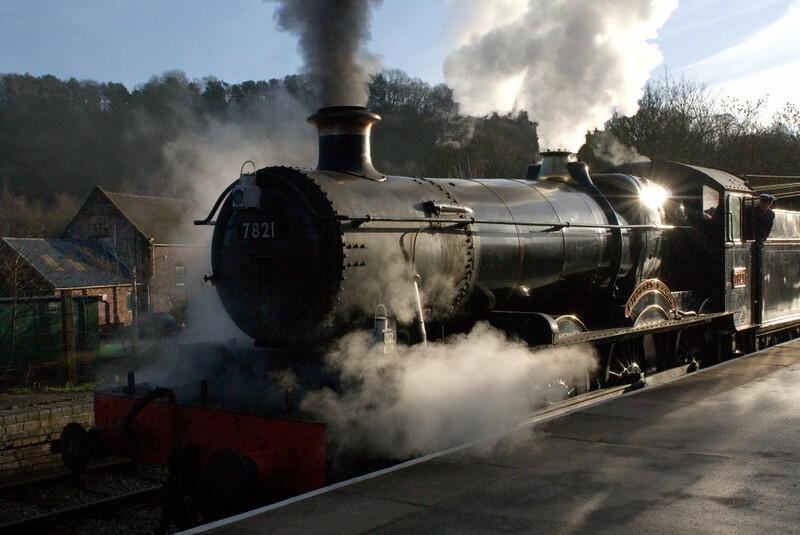 Welcome to the Churnet Valley Rly! The GWR Manor awaits departure to Cheddleton.